Our casa rural is ideal for guests looking for a comfortable environment with a contemporary and simple design, plus the tranquillity to relax or work during the day. We are the smart choice for travellers who want to visit and enjoy Galicia with a personal and cosy treatment where every detail is taken care of. Our cottage is located in a natural space. Therefore, we are respectful of the environment and take measures to reduce our carbon footprint. Os Lambrans consists of three restored abodes, with nine spacious en-suite rooms equipped with all comforts. The total capacity is twenty-two guests. 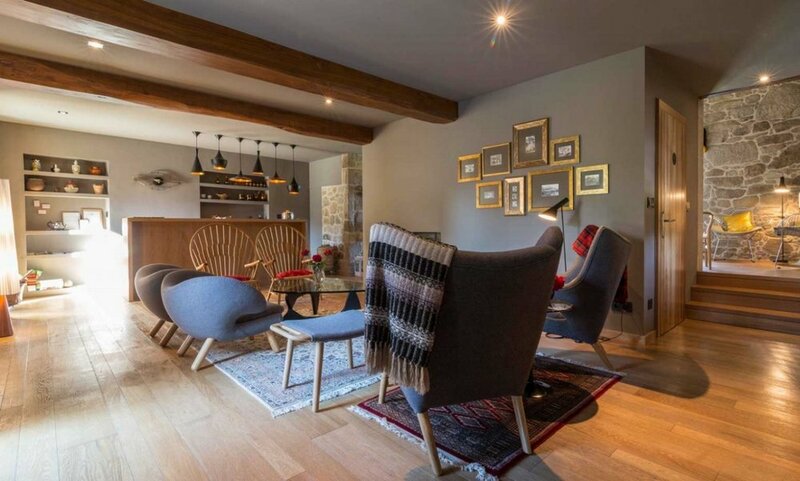 You will find hospitality and comfort in an intimate atmosphere, welcoming common spaces such as a cafeteria, lounge, living room with fireplace, library for adults and children. The ground floor is accessible for people with reduced mobility. The decor is simple and one of understated elegance. Wood, stone, transparencies and colours give life to an evocative and comfortable environment. The large garden, embellished by two characteristic wood and stone granaries called “horreos” - traditionally used to store the harvest - and an area with table and stone benches, is dotted with plants and flowers popular in Galicia such as camellia, oak, laurel or hydrangea. Ground floor: kitchen-dining room, living room, toilet. First floor: wide hallway with two bedrooms and two bathrooms, with the option of connecting the "Cereza" room of house B. The house can be rented out completely. Ground floor: reception, living room with fireplace, toilet, library, terrace. First floor: two en-suite bedrooms and the option to add two beds. Ground floor: cafeteria with terrace, kitchen, living room, toilet, two en-suite bedrooms. First floor: three en-suite bedrooms with the option to add two beds. Due to its strategic location, Os Lambráns is an ideal starting point for day trips to areas of historical, cultural and natural interest, as well as a perfect destination for food and wine lovers. We will be at your disposal to help you create personalised itineraries and inform you of all the different activities available during your stay. 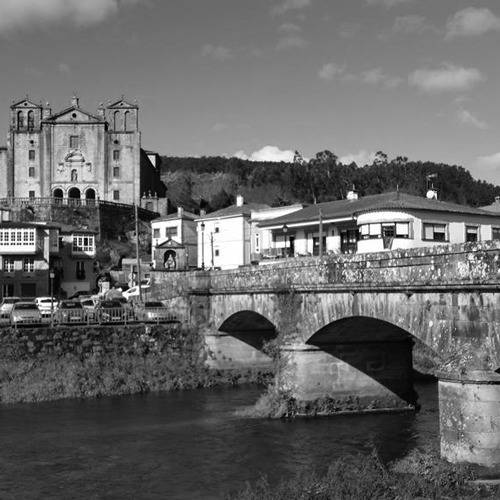 A few kilometres away, Padrón, a town founded by the Romans under the ancient name of Iria Flavia, is linked to the Jacobean tradition with the place where the boat carrying the remains of St. James the Apostle was moored. The city also gave its name to a variety of small peppers that are eaten fried throughout Spain, the famous "Pimientos de Padrón". Every Sunday, Padrón is home to one of the most popular markets in Galicia, with plenty of market stalls. 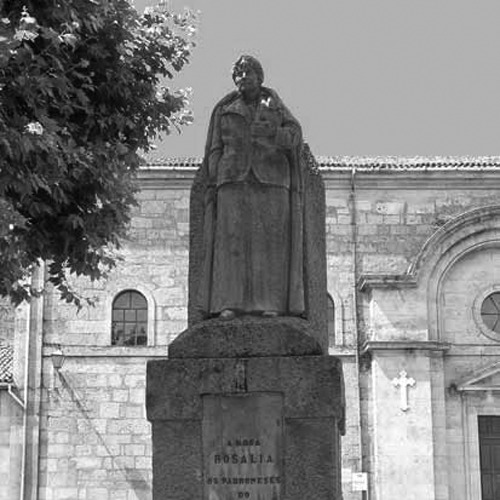 Lovers of literature will enjoy a poetic tour since Padrón has a long literary tradition, from the medieval troubadour Macías o Namorado (XIII-XIV centuries), Juan Rodríguez de la Cámara o del Padrón (1390-1450), Rosalía De Castro (1837-1885) and the literature nobel prize winner Camilo José Cela (1916-2002). Only 20 km away is the charming Santiago de Compostela, a multicultural city declared Heritage of Mankind by UNESCO, which is the destination for the "Camino de Santiago", also known by different English names like Way of St. James or The Camino. It is the name of any of the pilgrimage routes to the shrine of the apostle St. James the Great in the Cathedral, where tradition has it that the remains of the Saint are buried. 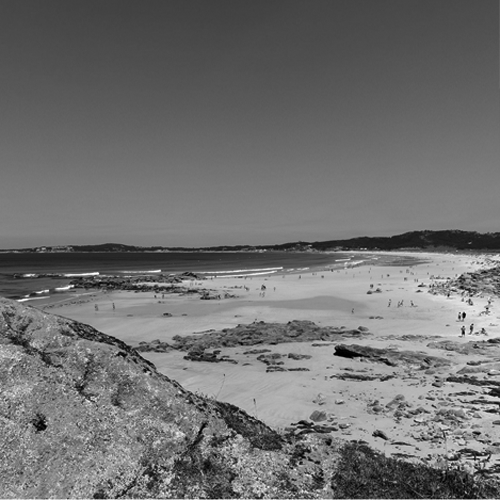 The peninsula of Barbanza, famous for its dolmens, the natural park of the dunes of Corrubedo and the lagoons of Carregal and Vixán are easily accessible by car in 30 minutes, as well as the attractive beaches of the Rías Baixas and the Rías Altas. 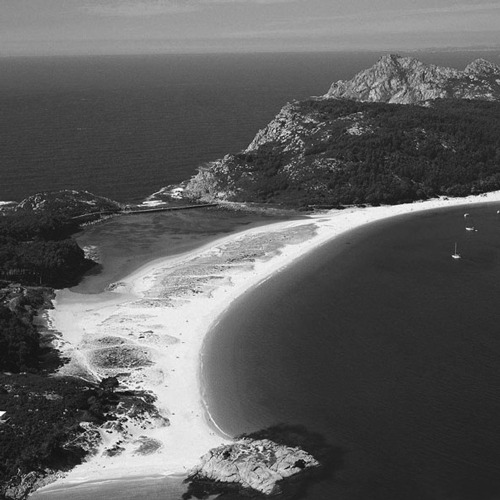 The Cíes, the Ons, Sálvora and Cortegada Islands belong to the Marine-Terrestrial National Park of the Atlantic Islands. Thanks to its wealth, both fauna and flora, and to the spectacular nature of its landscapes, these islands constitute an important cultural and natural heritage, of great value. Os Lambráns is located on the Rías Baixas wine route that will take you to the discovery of extraordinary flavours. Discover the singularities of the areas of O Rosal, Condado do Tea, Soutomaior, Val do Salnés and Ribeira do Ulla, which extend from the border with Portugal in the province of Pontevedra to the south of A Coruña.